Aww, please don't feel that way... A zap is a zap! It's the thought that counts. ❤️ As long as you followed the rules and sent a package, you have absolutely nothing to be sorry about. I know how Mickeyplutofan feels. Some of these zaps are so elaborate. I just put a pin in an envelope and sent it along. Ahhhhh!!!! I just got my pin it up zap from cyke23 and it's perfect! 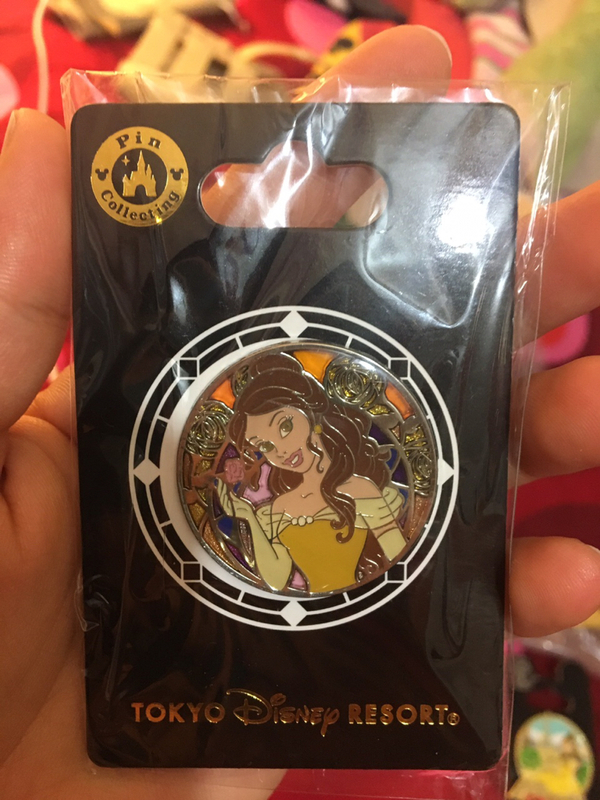 I even tried trading for one of these pins just a few days ago but someone else beat me to it! Thank you so much! I'm glad you like the pins. I was thinking, "I've not seen a Jungle Cruise collection before. That's neat. I need to add to it!" I am smiling ear to ear! One of my favorite collection within a collection is the Haunted Mansion Doom Buggy connector series. It's been slow trying to get them all, and I am very happy for the Singing Busts. Then there's the Haunted Mansion lost key. Getting close to having all of those too. 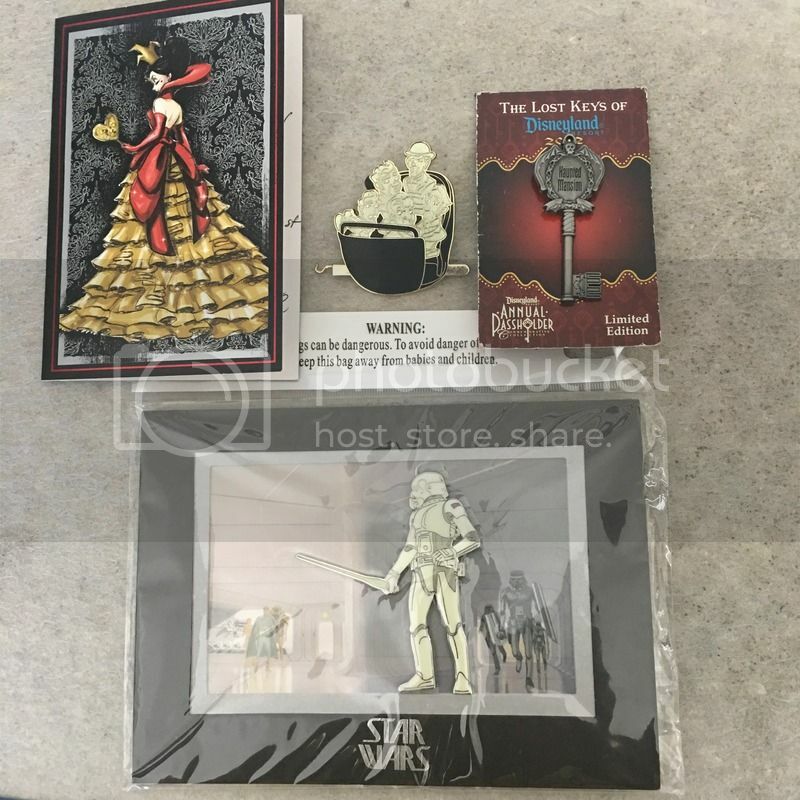 The Stormtrooper concept art jumbo pin is too cool. 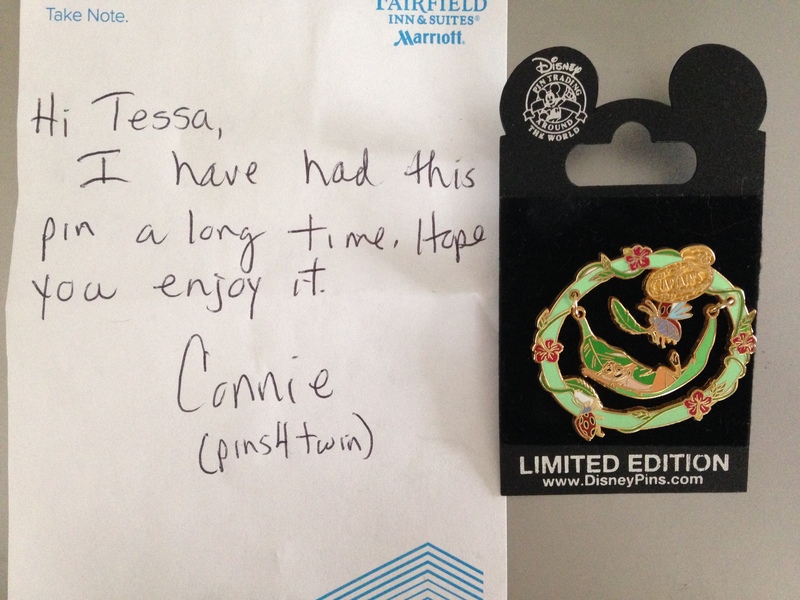 I have a bunch of pins from Star Wars Weekends 2014, but not this one, so this is a great surprise also. These pins are fantastic. 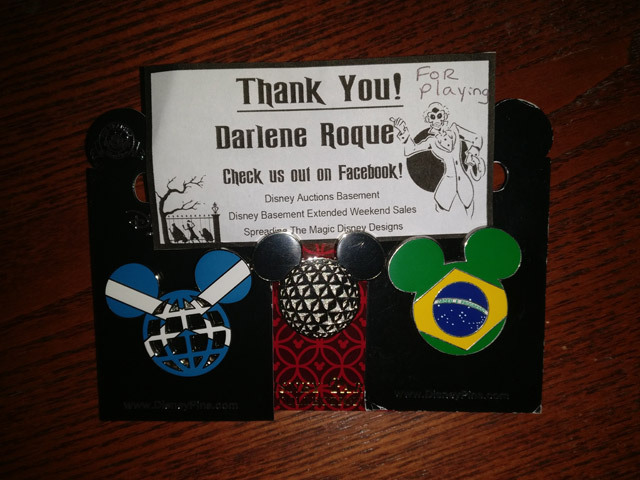 Thank you so much Janelle/Maleficent913 for your "pin it up". I am so Happy you liked them! I collect the HM Doom Buggy set too and I knew I had an extra one of the singing busts lying around. I'm like half complete on that set. When I saw you needed it I was so excited. I'm really glad you liked everything! enjoy!!!! But it was an awesome pin! My zap from pins4twin came and I love it! It's one I've never quite managed to track down on my own. That's a really cool pin! Great concept and great zap. Congrats! My first attempt with photobucket, sorry the image is so large. Anyway, here is my Zap from MickeyPlutoFan. Thanks so much for the great pins. I especially like the vinylmation one. Loved my pin it up zap I received from Jennifer! Thank you so much! I don't think we have the Snow White in Moms collection yet and we also collect Mallie and Aurora so the cameos are fantastic as well. I have really gotten some great pins in this game! I feel blessed! Nice zaps! Well, you deserve it for starting such an awesome game! I got this great triple zap from Rocke01! Mickey ears! The Scotland flag is a serendipitous choice! One of my sisters-in-law is Scottish and I don't know why I didn't pick one up last time I was in WDW. It'll make a great gift! And Spaceship Earth! How grand! Thanks again, Rocke01! I received a major zap package from Arendelle! Part of it was expected but she put in the stained glass belle for the game!! I was trying to bid on Facebook but didn't win it. Thank you, Arendelle!! Got my second Zap today from Minpin3. Although he did not have any of my wants, he sent two nice pins. I especially like the Winnie the Pooh pin. It is a blustery day pin. It is a pin on pin and the Pooh moves. Very appropriate for me in the Windy City! 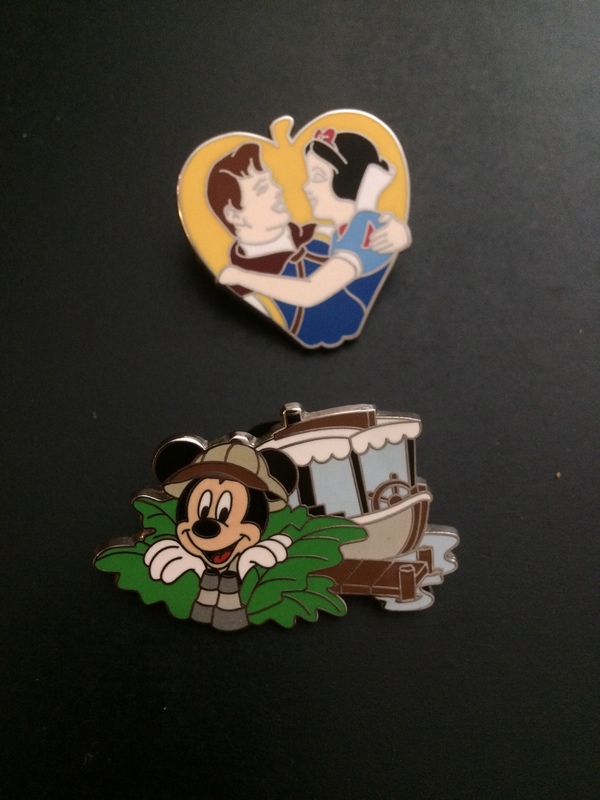 Thanks so much for starting this pin swap/Zap and thanks to all who participated. I got this two days ago from CCofRR13. I apologize for the delay posting; I've had a killer migraine! That pin is so funny!! Amazing zap! Thanks for the Zap, Rocke01! I'm super late posting, but thank you so much, Timeerkat! 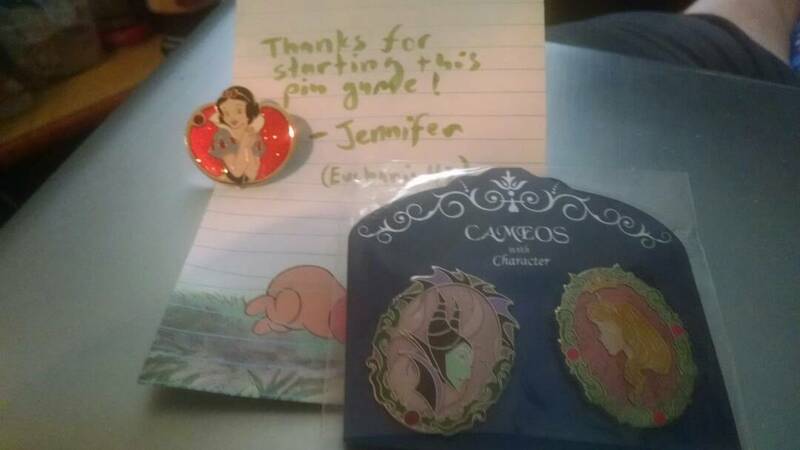 If the image isn't working (I don't think I have enough posts to be able to post an image), Timeerkat sent a really great Stitch pin from my wants and it is SO CUTE I love it!!! And the Lilo tsum tsum is also adorable, thank you! Sora....glad you like your pin. I think that Lucifer pin is sooooo cute and knew you would love it. 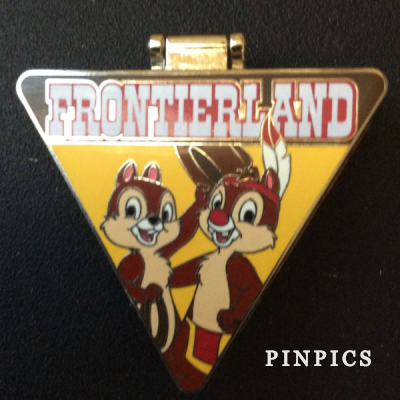 I got my pin it up today from pins4twin, I really love the Frontierland Chip and Dale limited edition pin Thank you ! !Marie is cute too thanks . What a great zap! The Mallie dragon pin was a grail! I just think it is wicked looking! Thank you so much Tomatoa! I have to apologize for not getting this posted sooner. We got it literally as we were walking out the door to go visit the mouse. I hurriedly took a picture ... It is still sitting in my living room at home as pictured!